Convert WRF to MP4, MOV, WMV, and other 1000 formats. Burn WRF to DVD/ISO/DVD folder with free DVD menus. WRF( WebX Recording Format) is a file that is created using the WebEx Recorder program of Cisco. With the .WRF extension, these files are mainly used for recording online meetings and activities. These files can be only played using a WebEx Player. So if you have a recording of an important meeting in WRF that you want to play on your iPad or other devices, you need to convert WRF to MP4 or other good compatible formats. 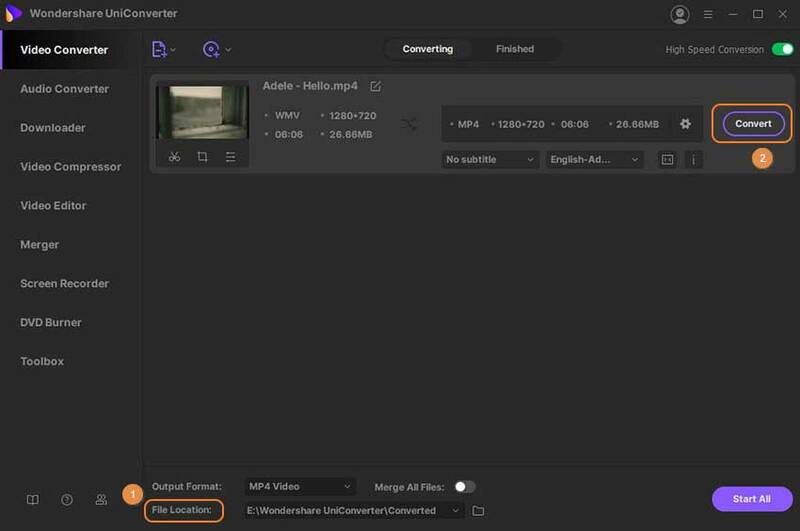 In the following part of the article, we introduce the best WRF to MP4 converters to convert WRF to MP4 online and offline. 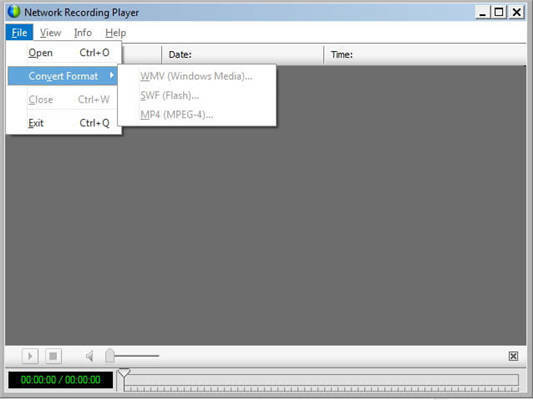 The WebEx Network Recording Player is the default and the official player for playing the WRF files. 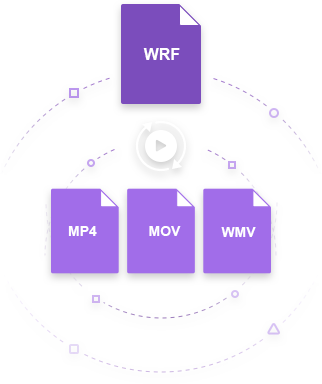 The player not only allows playing your recorded WRF files but also facilitates in the conversion of WRF to MP4 and other formats. The process of using WebEx Player for WRF to MP4 conversion is fast and easy and the player is compatible with Windows as well as Mac system. Step 1: Launch the WebEx player on your PC. Click on Network Recording Player, choose File and click Open to browse and add WRF file from your computer. Alternatively, you can also double-click on WRF file and open it directly in the player. Step 2: As the file is added to the player, open File menu and choose Convert. From the available options, choose MP4(MPEG-4) Format. A dialogue box will open from where you can choose the location of the converted file on the computer and the desired file name. Step 3: Click Content settings to preview the layout. Choose the quality of the output video. Step 4: Next, select when you want to convert the file. Click Convert immediately and then hit the OK button to begin the conversion process. 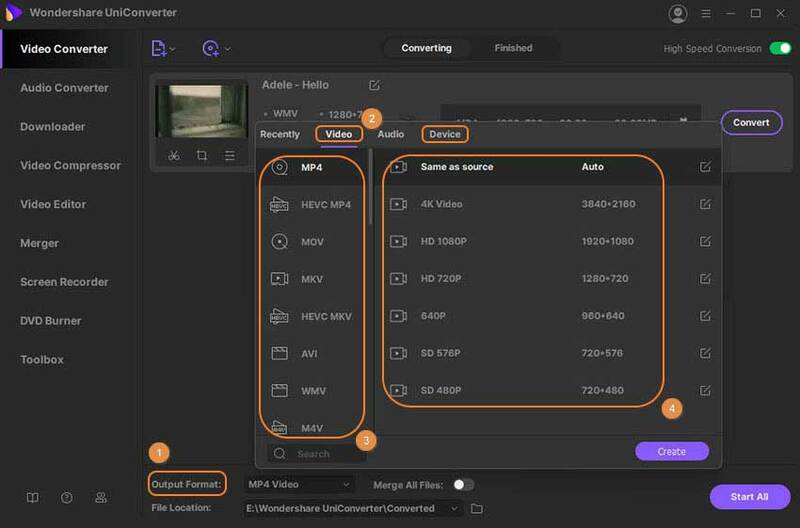 Online converters are great tools for users with limited file size and basic conversion needs and the same holds true if you are looking for WRF to MP4 conversion. Online Convert is one such decent program that allows converting WRF to MP4 online. This free program supports converting your WRF files to MP4 and other popular videos formats. This free tool allows adding files from computer, online sources and also cloud storage. 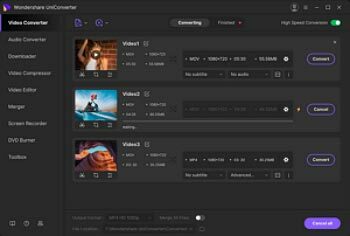 There is also an option to choose and edit the parameters of the output file like frame rate, bit rate, size, and others. If you wish to convert other files with the similar settings, the program also has an option to save your settings for future use. The converted file can be downloaded from the program interface. Step 1: Enter https://video.online-convert.com/convert-to-mp4 in the address bar of your computer browser. Click Choose File to browse and add WRF file from your PC. Step 2: Under Optional Settings, choose the output file parameters like bitrate, audio codec, frame rate, and others. Step 3: Click Convert file to start WRF to MP4 online conversion process. The converted file can be downloaded from the interface. As discussed in the above part of the topic, WebEx Player allows converting WRF files, but only to a limited number of formats including MP4, WMV, and SWF. Similarly, the online programs also have their limitations to the format support as well as the file size. So if you want to convert your WRF files to a wide range of formats with size limits, we recommend Wondershare UniConverter (originally Wondershare Video Converter Ultimate). This professional program supports over 1000 formats for conversion and also supports device-specific formats to avoid any compatibility issues. 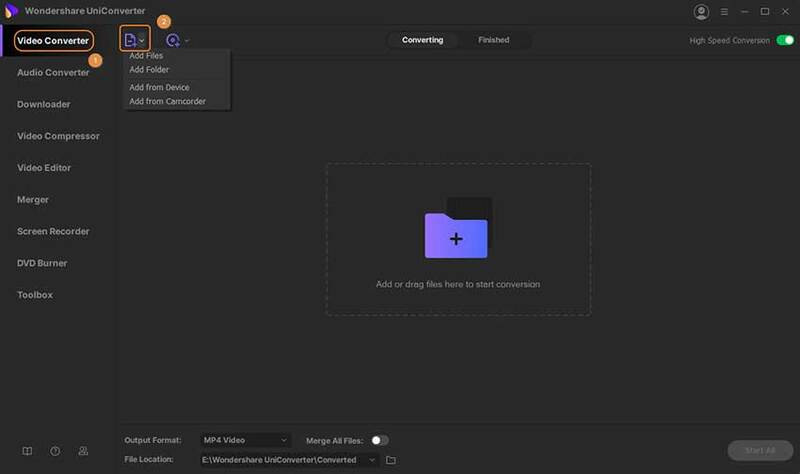 UniConverter (originally Wondershare Video Converter Ultimate) is feature rich software that also allows editing files with features like Crop, Trim, applying effects, and others. Batch conversion for multiple files is also supported. The conversion speed is 30X faster as compared to other similar programs, owing to its APEXTRANS technology. Enjoy lossless quality files, with advanced features and super fast speed using Wondershare UniConverter (originally Wondershare Video Converter Ultimate). Convert WRF to MP4, AVI, MKV, MOV, WMV and over 1000 formats. Burn WRF to DVD/ISO/DVD folder and customize DVD with free menu templates. Step 1 Convert WRF to MP4 with WebEx Player. Step 2 Launch Wondershare WRF to MP4 converter and import MP4 file. Open Wondershare UniConverter (originally Wondershare Video Converter Ultimate) on your computer and click +Add Files from the Convert tab to add MP4 (converted WRF) file. You can also drag and drop the file. Multiple files can be added here. Step 3 Choose target format like MOV, WMV. Added files appear as thumbnails on the interface. Click down-arrow at the "Convert all files to:" option on the top-right corner to open a drop-down menu. From the Video tab, choose the desired output format. You can keep the resolution as the original file or can also change it as needed. For device-specific conversion, choose the options from the Device tab. Step 4 Convert MP4 to other format. Choose the location of the converted file at the Output tab. Finally, click Convert All to convert WRF to MOV, WMV, or other format you need. Follow the above method, you can convert ARF to MP4 or convert ARF to WMV too as ARF is the default format for WebEx Player. Download and have a free trial of Wondershare UniConverter (originally Wondershare Video Converter Ultimate) now.